Dave Mathias was born in the small rural town of Silvis, Illinois but was raised by the sounds of Bob Kingsley and the Country Top 40. As far back as he can remember, country music has always played a major role in his life. Since he was twelve years old and picked up his first guitar, the feel of music was something that no individual could replace. Fans describe Dave’s musical style as being heart-felt country, amazingly similar to the deep emotional lyrics sung by country music legend Keith Whitley. 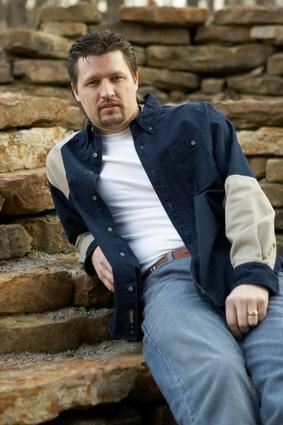 He has also been compared to the musical styles of Garth Brooks, Alan Jackson, and George Strait, but with a new and unique voice. Dave is an experienced singer and songwriter, who continues to perform songs that touch a broad audience by simply conveying the songs as if they were experienced life stories. "Country music fans take note. A name you will be hearing a lot of is Dave Mathias. Dave has all the "goods" to be a star. A great voice, super songs, and he's a great entertainer. His good looks don't hurt either. He already has a great fan base and that will only grow when you hear his latest CD. Give a listen and you'll see exactly what I mean."